He is the Director of Health Policy and Management, Faculty of Medicine, Public Health, and Nursing. 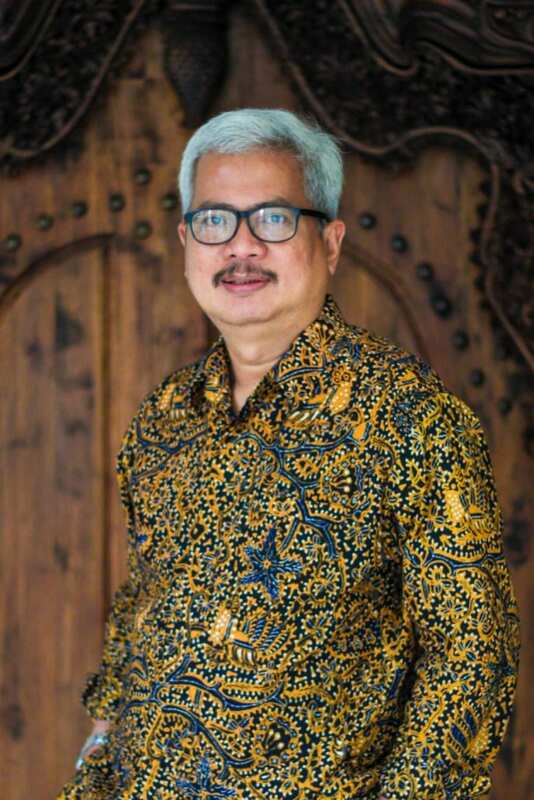 Graduated as Doctor from Gadjah Mada University in 1987, Masters of Science in Health Economics, York University, UK in 1989, and finished his Ph.D. in Health Policy Unit, London School of Economics. He did postdoctoral research in Harvard University in 2001-2002 and became professor in 2006. He was named one of the best lecturers in Gadjah Mada University in 2013. Maternal, Newborn, and Child Health Project Focusing on Health System Strengthening in Indonesia, funded by Abt Associates. Riset Implementasi Kebijakan JKN di Pelayanan Primer. Implementation Research Activity for UHC, funded by Abt Associates. Proposal for Indonesia Health System in Transition Final Revision, funded by WHO. Trisnantoro Laksono, Hendrartini Julita, Astri Dewi Miranti Putu, Susilowati Tana, Aristianti Vina. Strategic Purchasing in China, Indonesia and The Philippines (A Critical Analysis of Selected Healthcare Purchasing Mechanism in Indonesia. Comparative Study Volume 2 Number 1, 2016. Trisnantoro Laksono, Kebijakan Pembiayaan dan Fragmentasi Sistem Kesehatan, Gama Press University, Desember 2017. Trisnantoro Laksono, Shita Dewi, Andreasta Meliala, Khrisna Hort, The Non State Hospital in Indonesia, Gama Press University, Januari 2012. Trisnantoro L.(Editor) et al.,2009. Implementing Health Decentralization in Indonesia period 2000 – 2007:Experience and Future Scenario (Pelaksanaan Kebijakan Desentralisasi di sektor Kesehatan 2000 – 2007: Mengkaji Pengalaman dan Skenario), BPFE,360pages. Soebono H, Rochman H, Mubarika S, Retnowati S, Endarini S, Suharjo, Sutaryo, Sunarto Y, Trisnantoro, Urbano M. 2008. The 3 Years Activities of Sardjito Teaching Hospital, Faculty of Medicine UGM, and Faculty of Psychology UGM in Aceh (Tiga Tahun Kegiatan RS Sardjito, Fakultas Kedokteran, dan Fakultas Psikologi UGM di Aceh). Pas Offset. 280 pages. Trisnantoro L. 2007. Strategic Aspect of Hospital Management. The Dilemma between market and social mission (second edition). Andi Offset. 420 pages. Trisnantoro L, 2006. Indonesian Health Service System: Paradox and Anarchism? (An inaugural speech as a professor of Public Health Science). Trisnantoro L., Strategic Aspect of Hospital Management. The Dilemma between market and social mission (First Edition). Andi Offset. Murti B., Trisnantoro L., Probandari A., Maryanti AH., Harbianto D., Hasanbasri M., Wisnuputri T., 2006. An Essential Manual to Planning and Budgeting of Health Investment at District and Municipal Levels. Gadjah Mada University Press. 270 pages. Trisnantoro L (editor) et al.. 2005. Desentralisasi Kesehatan di Indonesia dan Perubahan Fungsi Pemerintah 2001 – 2003: Apakah merupakan periode Uji Coba?. Gadjah Mada University Press. 200 pages. Trisnantoro L., Economics Application for Hospital Management (second edition) Gadjah Mada University Press. Trisnantoro L., Economics Application for Hospital Management. Gadjah Mada University Press.